The team at Osprey Communications has specialist knowledge in healthcare communications and has been working with NHS Trusts, CCGs, pharmaceutical companies and the BMA on a range of projects, providing media relations, crisis public relations, public engagement and media training. If you operate in the field of health and social care, our team can help with you get the best out of your communications. We have a sound working knowledge of NHS structures, policies and protocols, as well as the challenges involved in communicating current issues and future needs in the healthcare sector. We have worked with a number of NHS organisations including the BMA and Colchester Hospital University NHS Foundation Trust. This has included providing in-house press office support, as well as designing and producing communications materials such as newsletters, posters and an innovative film using cartoons. 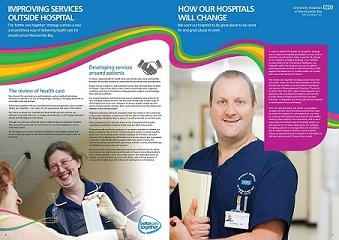 We have supported the ‘better care together’ public engagement campaigns in North Lancashire and South Cumbria, in which we have been assisting with the production of communications materials and fronting a series of community ‘roadshow’ events. We have delivered media training for organisations such as Serono, the British Medical Association and National Voices, as well as a number of NHS Trusts. 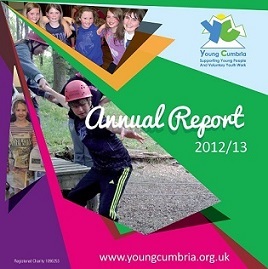 In the charitable sector, we have worked with organisations such as Young Cumbria and National Voices, providing strategic communications advice, press release and feature writing, the production of annual reports and support with various campaigns.